Familiarize yourself with third-party tools such as Traffic Authorization, Summon, sVirt, and SELinux to secure your Docker environment In Detail With the rising integration and adoption of Docker containers, there is a growing need to ensure their security. The purpose of this book is to provide techniques and enhance your skills to secure Docker containers easily and efficiently. 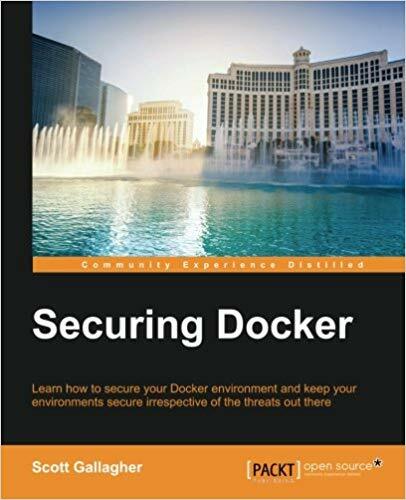 The book starts by sharing the techniques to configure Docker components securely and explore the different security measures/methods one can use to secure the kernel. By the end of this book, you will have a complete understanding of Docker security so you are able to protect your container-based applications. Style and approach This book is your one-stop solution to resolve all your Docker security concerns. It will familiarize you with techniques to safeguard your applications that run on Docker containers.